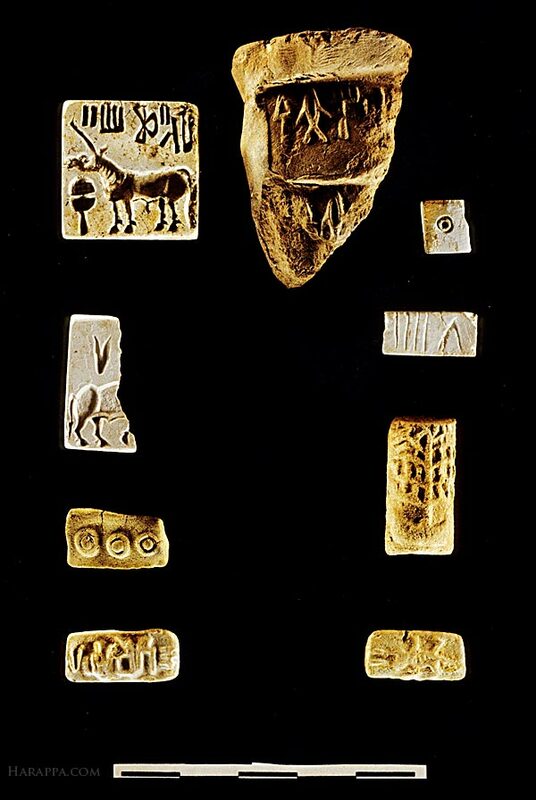 A collection of inscribed objects found along the main street leading to the southern gateway of Mound E at Harappa. The fragmentary seal on the left is the earliest seal found to date, and depicts a bovine carved in a very archaic style. At the top center is a terra cotta sealing with two seal impressions. This sealing may have been used to close a large jar full of trade goods such as oil.